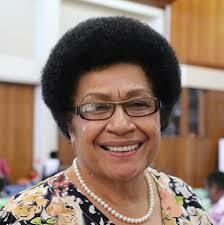 Dr. Jiko Luveni will continue in her role as the Speaker of Parliament of the Republic of Fiji for the next four years. This came after the nomination for speaker by the Opposition to appoint Tanya Waqanika was defeated by 27 votes to 24 in Parliament this morning. Dr Luveni thanked Government MPs and the Prime Minister Voreqe Bainimarama for putting their trust in her. She also thanked her husband and family for their support during her term as Speaker over the past four years.